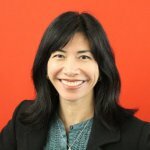 SAN FRANCISCO: Hill+Knowlton Strategies has hired Mylene Mangalindan as SVP of media relations, a new role at the agency. Mangalindan is based in San Francisco and works with the WPP agency's corporate and technology practices. She started in the role on Monday. Reporting to Paul Turner, EVP and GM of H+K San Francisco, Mangalindan will help clients tell their stories and work with reporters, she said. Prior to joining H+K, Mangalindan was VP of corporate communications at e-commerce technology company Rearden Commerce, where she oversaw PR, internal communications, analyst relations, social media programs, corporate messaging, and customer communications. Before that, she was director of communications at Hewlett-Packard, working on financial communications, crisis management, corporate positioning, and media relations since earlier this year. She was also a staff writer at The Wall Street Journal for eight years and a wire reporter at Bloomberg News for three years, covering topics such as e-commerce and technology. H+K appointed Amy Rosenberg EVP and US director of media relations in September. Rosenberg is based in New York and reports to Jody Venturoni, EVP of the US region.